He is now beginning to perform as a soloist playing traditional flutes, especially the panpipe flutes from South-America. He heard these beautiful flutes while studying music education in Mexico and became “enchanted” by the exotic and haunting sounds. “It is amazing how you can create beautiful music with such simple reed pipes,” he said. 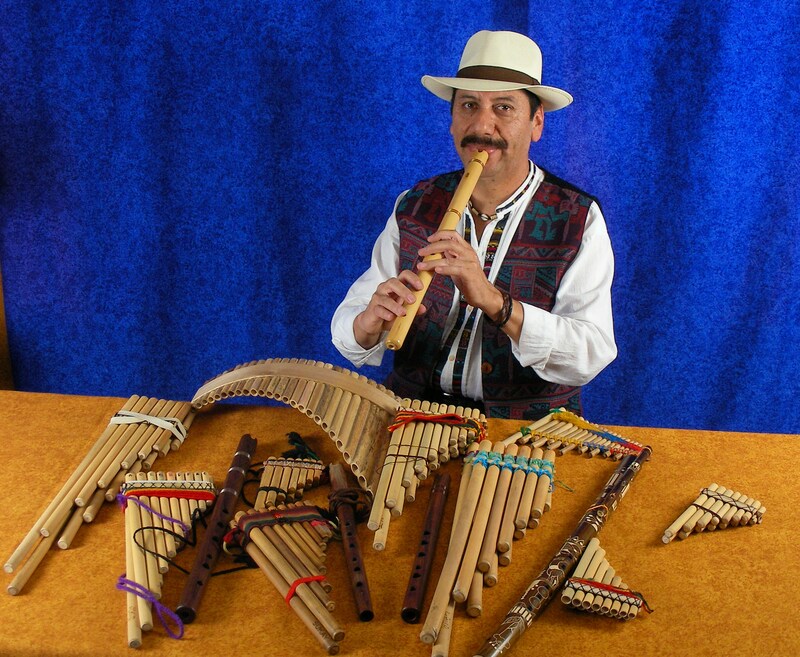 For his performances he uses a wide variety of flutes such as: quena, quenacho, panpipe flute, sikus, sanka, malta, ika, ocarina, and rondador which are flutes from Bolivia, Perú and Ecuador. Particularly with the Pangean Orchestra he plays Siku Malta and Quena. You can read more about Flavio at www.flavioflutes.com.